Offering you a complete choice of products which include beeswax. 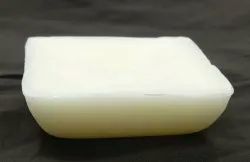 We are importer & distributor of Beeswax in India. Beeswax (cera alba) is a natural wax produced by honey bees of the genus Apis. The wax is formed into scales by eight wax-producing glands in the abdominal segments of worker bees, which discard it in or at the hive. One of the key ingredients in salve-making is beeswax. Beeswax is used in many skin care products because it provides a protection against irritants while still allowing the skin to breathe. It also offers anti-inflammatory, antibacterial and antiviral benefits making it helpful in treating skin irritation.